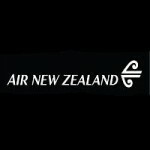 Air New Zealand operate their service between London Heathrow and Auckland via Los Angeles, and the airline is planning to once again run a Black Friday promotion – offering 100 seats between the UK capital and California for just £199 now £175 return, and 50 seats from London to Auckland for £399 return. The promotion will only be bookable at airnewzealand.co.uk. Bookings open at 9am on Friday 247th November 2017 for the LA seats, and at 10am for the Auckland seats, and the offer ends when all the seats are sold. It will be possible to ‘hold’ a £199 £175 fare for up to 3 days at a cost of £25. For further information and to book, visit airnewzealand.co.uk. Note that the £199 £175 London to Los Angeles and £399 Auckland fares will not be available from any other website, including Air New Zealand sites other than the United Kingdom version. Air New Zealand operate their service between London Heathrow and Auckland via Los Angeles, and the airline is planning to once again run a Cyber Monday promotion – offering 100 seats between the UK capital and California for just £199 return. The promotion will only be bookable at airnewzealand.co.uk. Bookings open at 10am on Monday 28th November 2016, and the offer ends when all the seats are sold. Travel dates are outbound between 5th & 7th February 2017 and between 12th & 13th February 2017, and return between 12th & 14th February 2017 and between 20th and 21st February 2017. Flights are changeable for a fee of £100 plus any difference in fare, which in practice will be to the best available ‘normal’ fare. It will also be possible to ‘hold’ a £199 fare for up to 3 days at a cost of £25. Upgrades to Air New Zealand’s economy SkyCouch seat were offered subject to availability last year, at a cost of £100 per passenger for a family of two adults and one child; £299 per passenger for a couple travelling together and £599 for a single passenger. Prices were one-way. The promotion details thus far published don’t explicitly confirm that this additional deal will be combinable with the £199 fare, however the airline is separately offering a similar deal on ‘normal’ Economy bookings. For further information and to book, visit airnewzealand.co.uk. Note that the £199 London to Los Angeles fares will not be available from any other website, including Air New Zealand sites other than the United Kingdom version. The airline also promises additional Cyber Monday deals to be announced closer to the day, all of which will also be advertised and bookable at airnewzealand.co.uk. Air New Zealand operate their service between London Heathrow and Auckland via Los Angeles, and the airline is planning to offer 100 seats between the UK capital and California for just £199 return. The promotion will be part of Air NZ’s Cyber Monday 2015 promotion and will only be bookable at airnewzealand.co.uk. Bookings open at 10am on Monday 30th November, and the offer ends when all the seats are sold. Travel dates are outbound between 1st & 3rd February 2016 and between 8th & 9th February 2016, and return between 8th & 11th February 2016 and between 15th and 17th February 2016. The fares are changeable for a fee of £100 plus any difference in fare, which in practice will be to the best available ‘normal’ fare. 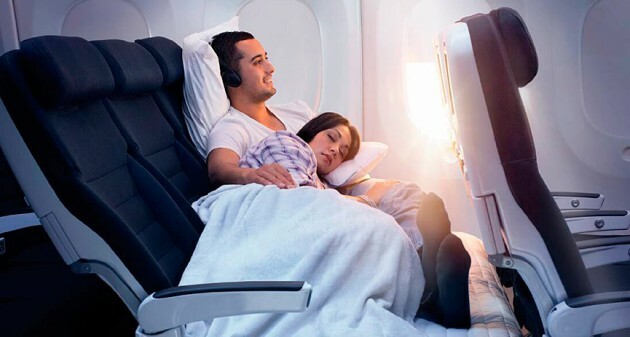 Upgrades to Air New Zealand’s economy SkyCouch seat will be offered subject to availability at a cost of £100 per passenger for a family of two adults and one child; £299 per passenger for a couple travelling together and £599 for a single passenger. SkyCouch upgrade prices are one-way.